The Grand Theft Auto series is one of the most successful, celebrated and controversial gaming franchises of all time. 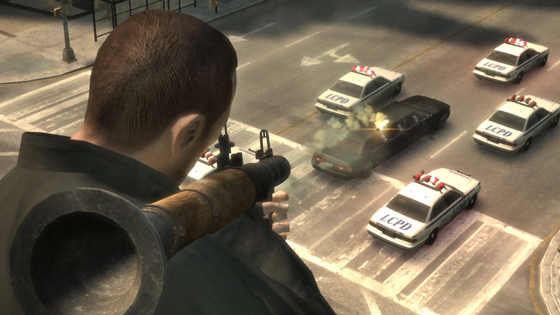 The games allow players to take on the role of a criminal and carry out various activities that involve driving, shooting, theft and general exploration of the open-world cities they are set in. With the release of Grand Theft Auto V just days away, here is a brief timeline of the major releases in the series so far. The one that started it all. Grand Theft Auto was developed in Scotland by DMA Design (now Rockstar North). The series was created by David Jones, who had previously found success with Lemmings, and Mike Dally. 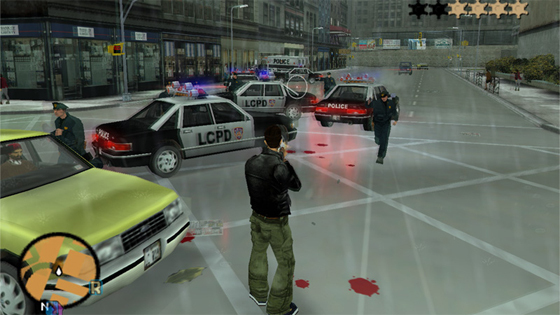 The game along with its expansion Grand Theft Auto: London and sequel Grand Theft Auto 2 were top-down, 2D titles that allowed players to roam around a big city and carry out various missions such as bank robberies, assassinations, and other crimes. The third chronological title was hugely acclaimed, taking the series to a 3D setting and a more immersive experience. It is considered a landmark title that has subsequently influenced many other open-world action games and led to the term 'Grand Theft Auto clone' for similar games. First released on PlayStation 2, it was later released for Windows and Xbox, and was the highest-selling game of 2001. As of March 26, 2008, Grand Theft Auto III has sold 14.5 million units according to Take-Two Interactive. Grand Theft Auto III was set in Liberty City, a fictionalised New York, and put players in control of Claude, who was betrayed by his girlfriend in a bank heist and begins to work his way up the crime ladder of the city before confronting her. Set in a fictionalised Miami in the 1986, Vice City put players in control Mafia hitman Tommy Vercetti. Following release from prison, Vercetti is involved in a drug deal gone wrong and seeks out those responsible while building a criminal empire and seizing power from other criminal organizations in the city. Originally released on the PlayStation 2, Vice City was later ported to Xbox and Windows. As of March 26, 2008, Grand Theft Auto: Vice City has sold 17.5 million units according to Take-Two Interactive, making it the fourth-highest-selling video game for the PlayStation 2. Set in a fictionalised California and Nevada in 1992, San Andreas centers on African-American gang warfare. Players were put in control of gangbanger Carl 'CJ' Johnson who returned to San Andreas after five years in Liberty City and spearheads his gang the Grove Street Families' rise to dominance of the city. Originally released on the PlayStation 2, San Andreas was later ported to Xbox and Windows. It is the most successful game ever released for the PlayStation 2 and in 2011, according to Rockstar Games, had sold 27.5 million units. 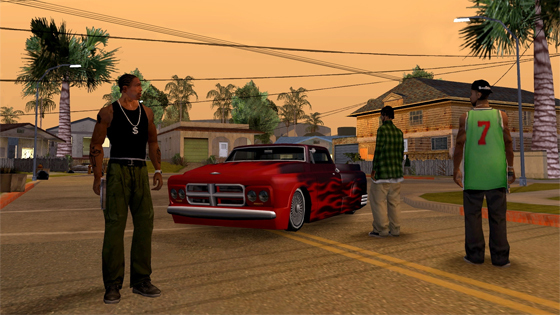 The first Grand Theft Auto to be released on the current generation of consoles returned to the setting of Liberty City. Players were put in control of Niko Bellic, a veteran of an unnamed war in Eastern Europe who moves to the city to join his cousin Roman. After defending Roman from his loansharks several times, including committing murder, Niko falls into a life of crime with increasingly high stakes. Grand Theft Auto IV was released to universal acclaim from critics and broke several sales records upon release. As of late 2012 Grand Theft Auto IV has reportedly sold over 25 million copies. The latest release in the franchise was announced in October 2011 and has steadily been building hype since. Set to be released on the PlayStation 3 and Xbox 360 next on September 17 in New Zealand, Grand Theft Auto V returns to an expanded San Andreas setting. 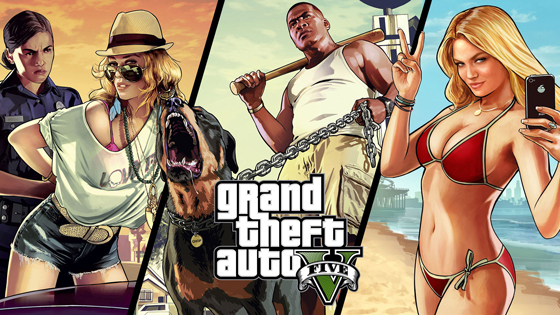 The game will put players in control of three characters: Michael, Trevor and Franklin. Michael represents a protagonist who "won" and is now trying to adjust to life after his story has come to an end; Trevor is styled after a supporting character who has been re-cast in the role of protagonist; and Franklin is someone who has had no real exposure to a life of crime until the events of the game, and his attempts to avoid such a life end up thrusting him into the middle of it. The game also comes with Grand Theft Auto Online, a new multiplayer mode that allows up to 16 players to engage in both co-operative and competitive gameplay in a recreation of the single-player setting.